The V-Ray rendering engine has become one of the most popular render engines in use today ranging from architectural visualization to visual effects for major feature films. If your workflow requires local CPU or GPU compute power (compute capability within your production workstation) for V-Ray rendering, then you will want as much CPU processing power as your budget allows. This may include may include overclocked workstations or dual Xeon based models with multiple GPUs depending on your workflow. BOXX recommends offloading final rendering from your production workstation to a dedicated device whenever possible. See how fast V-Ray renders on your machine . . . for free! With V-Ray Benchmark, Chaos Group makes it easier than ever for you to see how fast V-Ray will run on your system. This free, standalone application does not require a V-Ray license and includes a single GPU scene and a single CPU scene. Simply download, run the test, and then share your results online. V-Ray Benchmark also allows you to add notes so you can let other users know if you’ve made system modifications like liquid-cooling and overclocking. The process of rendering is very computationally intensive and is best suited for a dedicated compute devices typically found in a render farm. Offloading animation sequences to a render node (or cluster of nodes) will reduce render times and free up production workstations so your artists can iterate the aesthetic of each scene uninterrupted. V-Ray RT is one of the most advanced GPU rendering engines on the market. 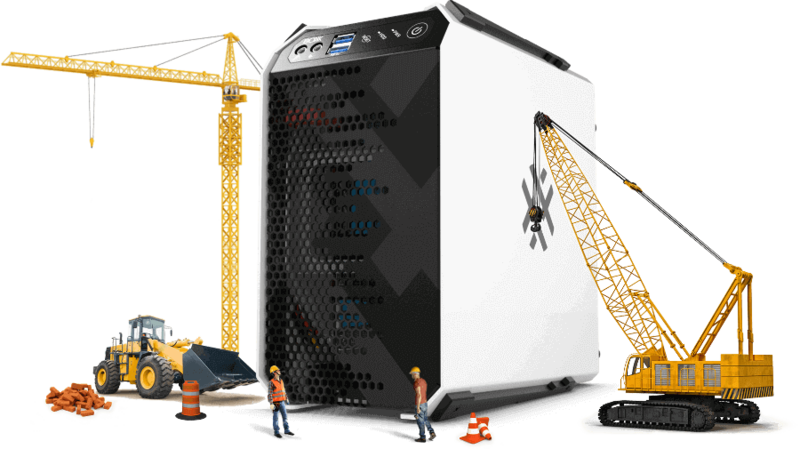 Whether you use GPUs for look development or final frame rendering, BOXX builds a variety of GPU dense workstations and rack mounted servers to meet your needs and budget. Featuring up to four powerful NVIDIA® Quadro™, NVIDIA® GeForce™ or AMD® RadeonPro™ graphics cards, the 1U rack-mounted G8 server provides accelerated rendering/simulation for up to eight users.